"Fine Linen" Solids are the real embodiment of my Mom's "good" napkins. The fabric feel and stitched borders...maybe you have these too! 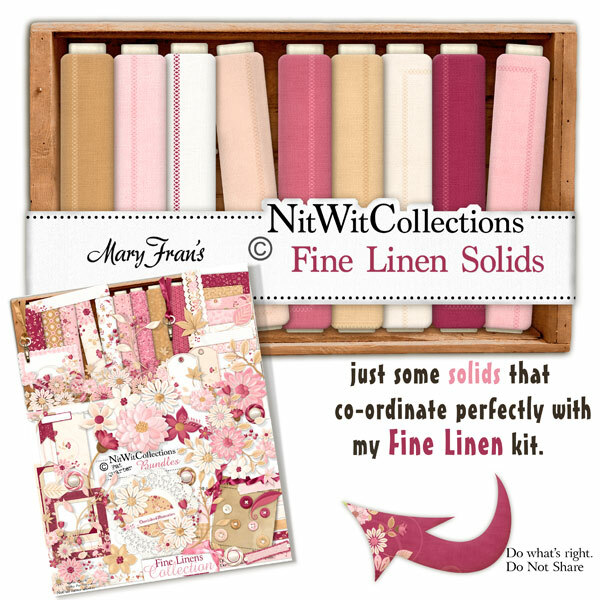 These solid digital papers are NOT included in the FQB "Fine Linen" Collection so please don't miss out! 12 Solid digital background papers made to look as though they are linen napkins, that coordinate with my "Fine Linen" Collection.